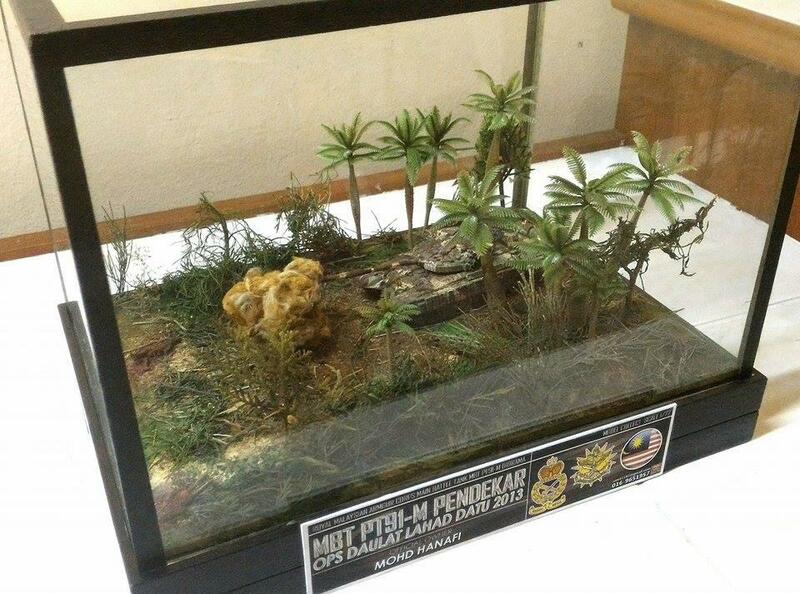 This is my first post regarding armor subject which is a Malaysia MBT (Main battle tank) PT-91M (Nickname “Pendekar” means warrior in Malay) modified from the Polish PT-91 Twardy tank which is currently in use by our ground Royal armor division . 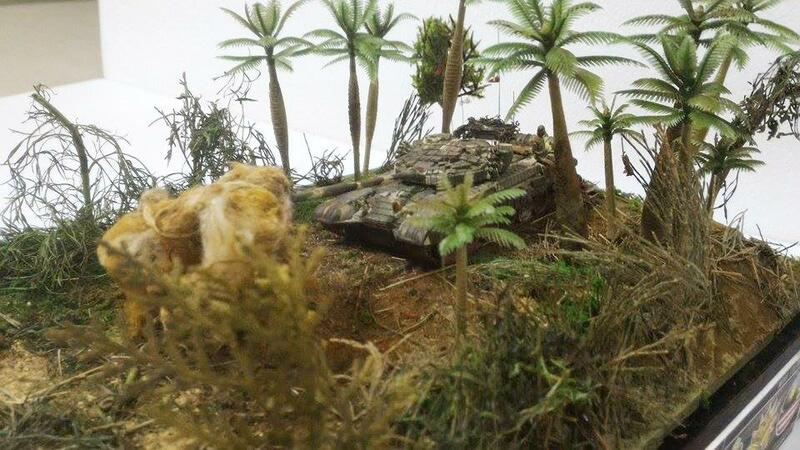 The diorama depicts the tank firing at enemy position (fictional scene). 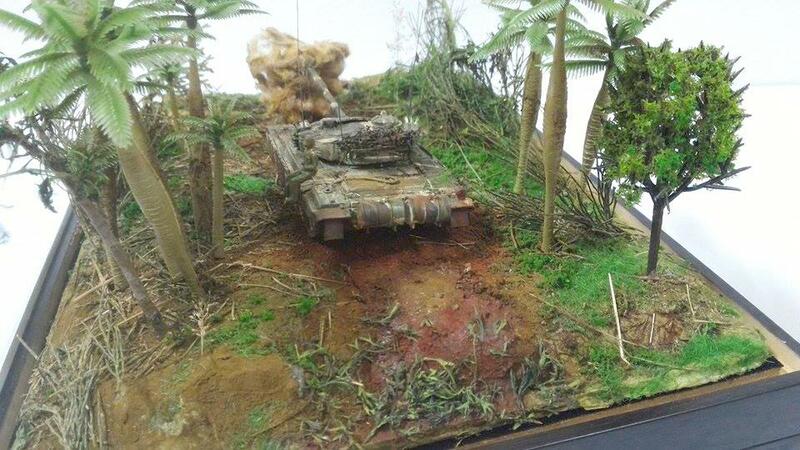 The tank was painted in jungle camo which is in Nato (Green + Chocolate + Beige + Black) combination. 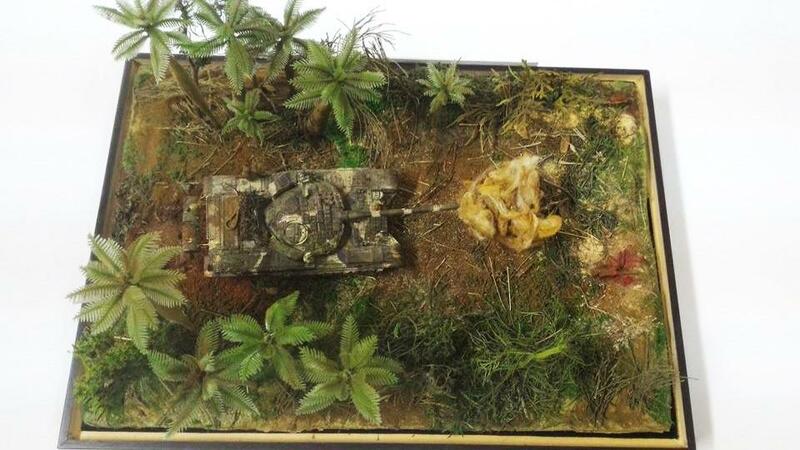 The cotton like material infront of the tank was supposed to look like tank firing explosion , it would have been more realistic if it had LED inside. 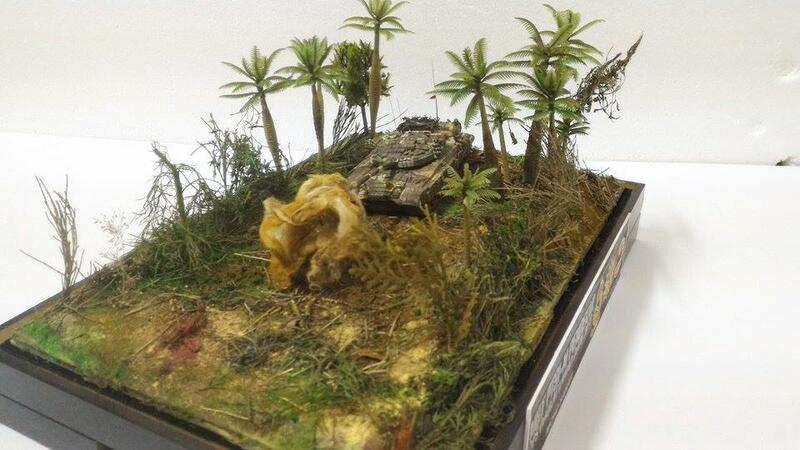 Overall it was a good learning experience building this A4 size diorama many method were learned and can be improved in my future builds. Thanks for the read ! Nicely done. sir…love the dust/dirt “kick-up”. Well done! 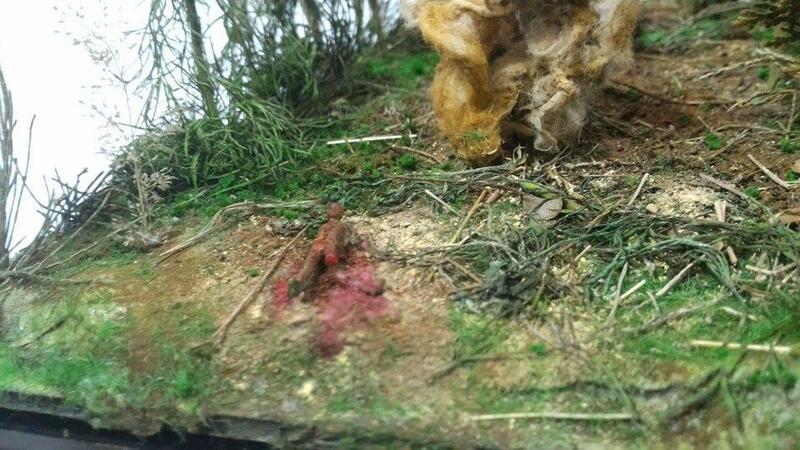 Looks like a predator moving through the jungle.